The vigorous growth of astronomical and astrophysical science in China led to an increase in papers on astrophysics which Acta Astronomica Sinica could no longer absorb. 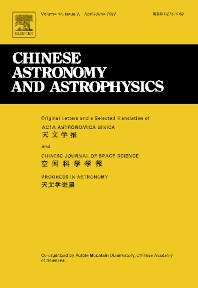 A selection of translations of papers from the Chinese Journal of Space Science and the review journal Progress in Astronomy are added to the translation of Acta Astronomica Sinica to form the journal Chinese Astronomy and Astrophysics. Chinese Astronomy and Astrophysics brings English translations of notable articles to astronomers and astrophysicists outside China.